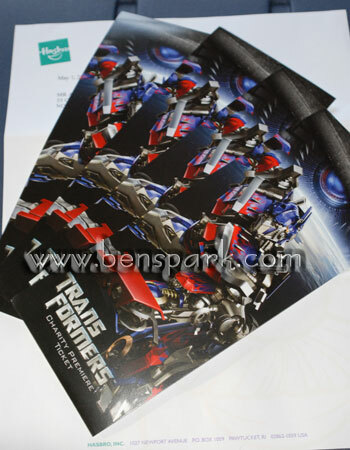 I bought tickets to the Transformers Movie charity screening event on June 28th. They came in the mail yesterday. They are awesome! I submitted the news to Seibertron.com and was frontpaged.